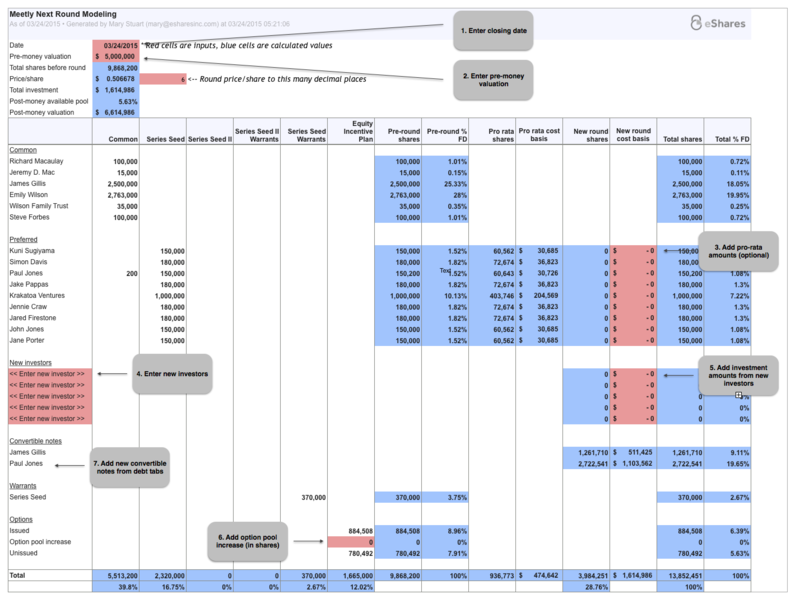 For founders not on Carta who would like to model a new round, we have open-sourced our pro forma round modeling spreadsheet with a sample company called Meetly. 7. Add new convertible notes from debt tabs. The blue cells are calculated values. To modify the spreadsheet for your company you will need to change the included sample data. All formulas are embedded in the spreadsheet which you can modify if needed.